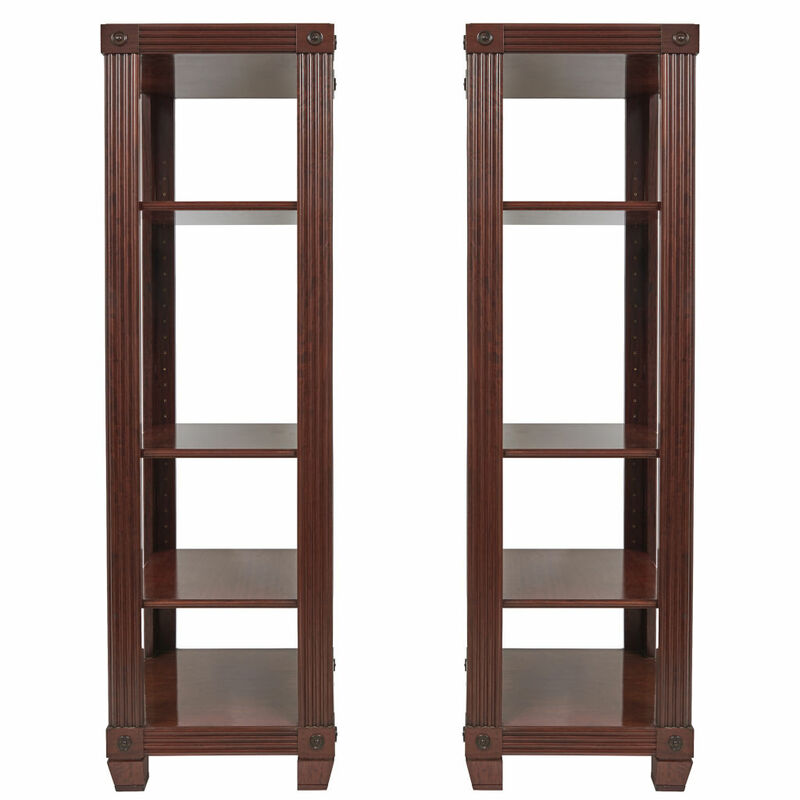 Pair Regency Style Neo-Classical Mahogany Shelves in the manner of George Smith – Continental c.1950. 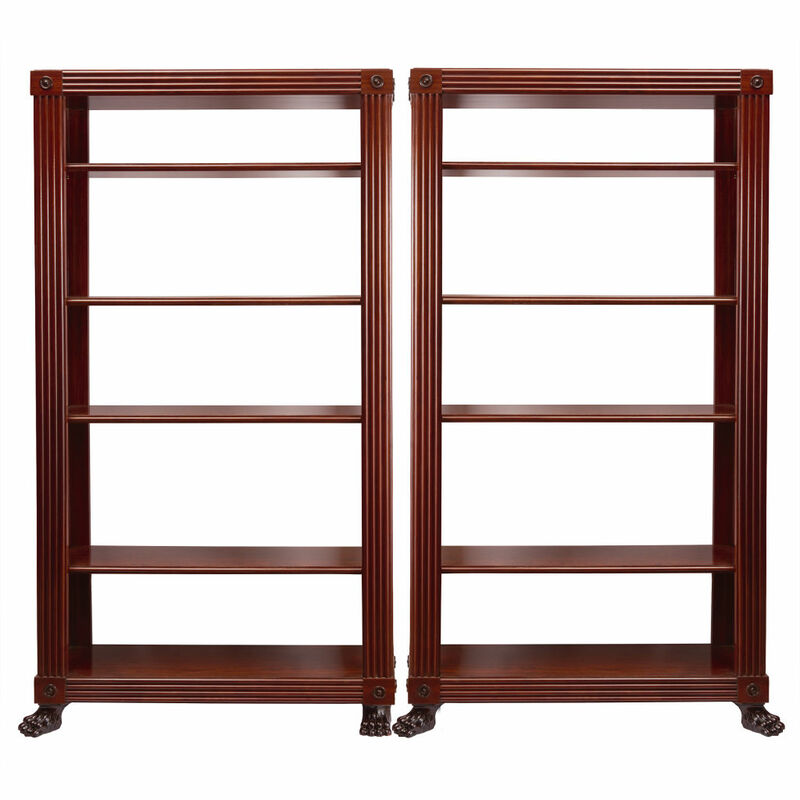 Mahogany frame with moulded circular reliefs on each corner, both top and bottom. 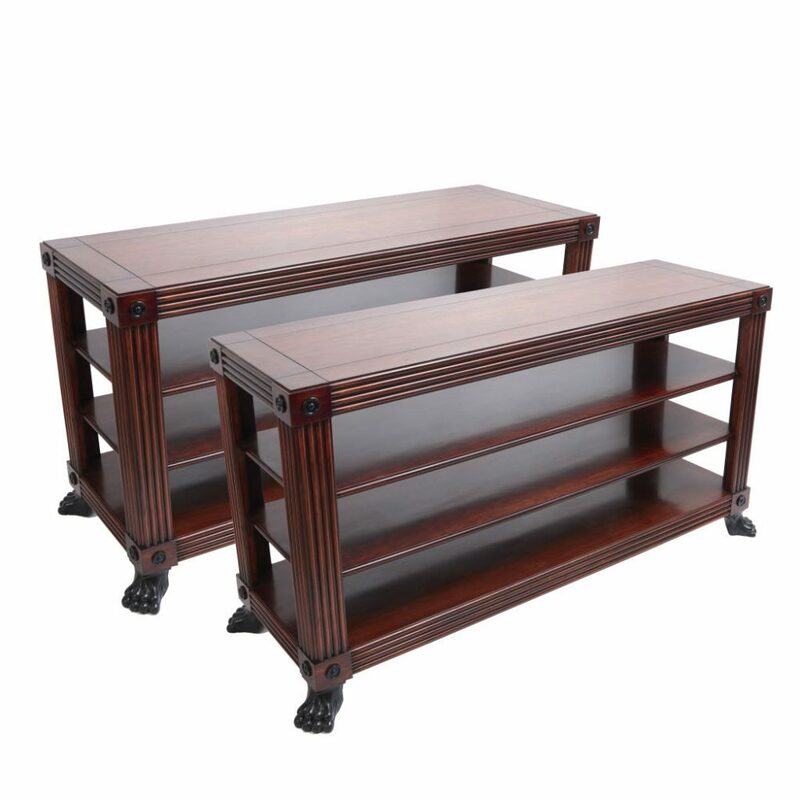 Fluted details on the sides, finished with out-turned lion paw feet.